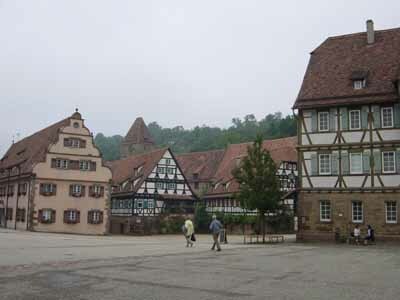 The Maulbronn Monastery Complex is a former Cistercian abbey, almost 850 years old. It is considered to be the best preserved and thus most impressive medieval abbey north of the Alps. The monastery consists of several buildings, each of which plays its own role to make the complex fairly self-sufficient. Surrounded by fortified walls, the main buildings were constructed between the 12th and 16th centuries. The monastery's church, mainly in Transitional Gothic style, had a major influence in the spread of Gothic architecture over much of northern and central Europe.